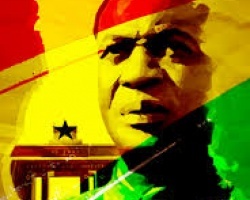 APA-Pretoria (South Africa) — South African President Jacob Zuma has congratulated Ghana on its 60th independence anniversary, his office said on Monday. 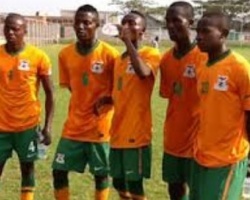 APA – Dakar (Senegal) — Zambia will face South Africa in Lusaka on Wednesday while Senegal face Guinea in Ndola a day later in the semi-finals of the U20 Africa Cup of Nations (U20AfCON). 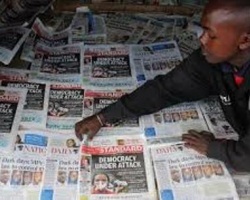 APA-Nairobi (Kenya) — Ruling Jubilee administration 2013 promises, Mombasa Governor triumphant return from the United States and claims of herders shooting at police boss chopper, grabbed the headlines of major dailies on Monday. 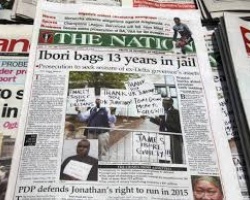 APA-Abuja (Nigeria) — The capture of 14 members of Boko Haram terrorists by the Nigeria Army and the planned closure of Abuja airport dominate the headlines of Nigerian newspapers on Monday. 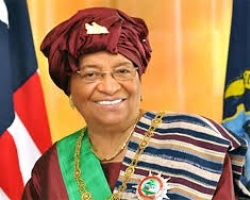 APA-Monrovia (Liberia) — President Ellen Johnson Sirleaf has extended to her Ghanaian counterpart, Mr. Nana Addo Dankwa Akufo-Addo, heartfelt congratulations and best wishes to the Government and People of the Republic of Ghana as they celebrate their 60th Independence Anniversary on Monday, March 6, 2017. 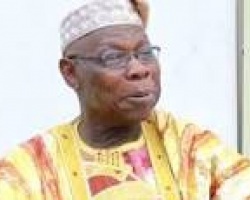 APA-Monrovia (Liberia) — President Ellen Johnson Sirleaf says the Olusegun Obasanjo Presidential Library (OOPL) is an initiative in Africa that will spur strong legacy for successful, retiring Presidents on the continent to emulate.